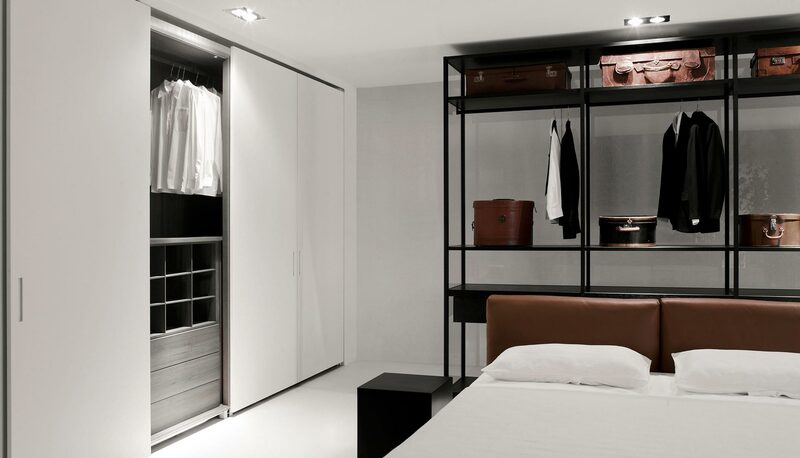 The wardrobe closed with pull-out sliding doors is the most alluring proposal for the bedroom: linear and elegant as well, it stands out for its continuous surfaces and the easy opening. 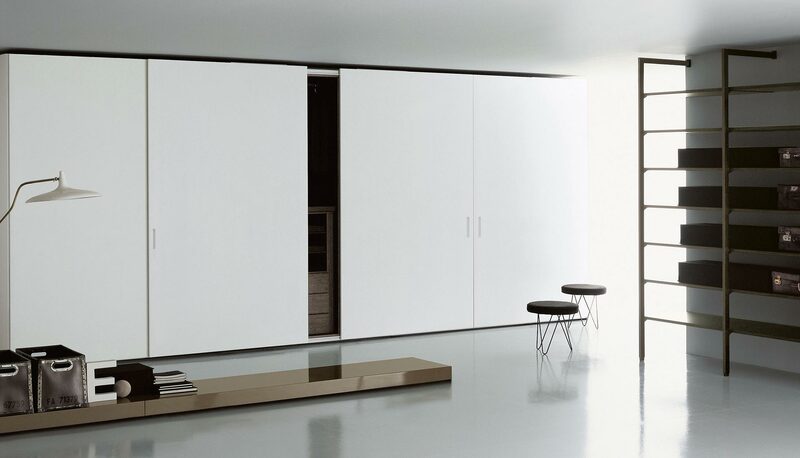 Available 2273/2433/2593 mm high and 750/1000/1200/1500 mm wide, the pull-out sliding door is available in the 32S model, in the matt and glossy lacquered colours and in wood, and in the Scoop model, in glass in the all the colours available. 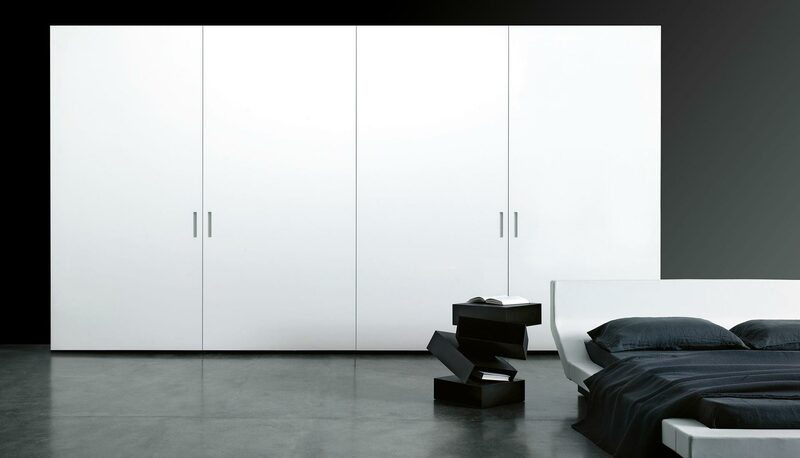 The pull-out sliding doors are fitted with a slowing down closing device, easily closing them to their initial position in the same finish as the doors.